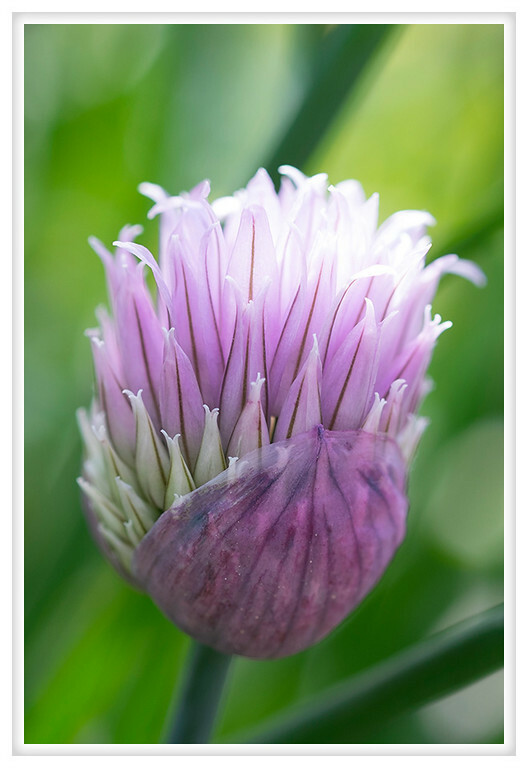 This is the flower of some chives my neighbors planted in their raised beds. The flowers are so pretty right now and they're attracting bees although not many yet because it is a bit chilly and cloudy. When the sun warms the air the insects are much more active, hopefully there will still be some flowers when that happens.